The Gay Gamer: The question is: am I going to put any time at all into my Japanese copy of The Legend of Legacy before the North American version of this 3DS RPG hits the streets in a few months? 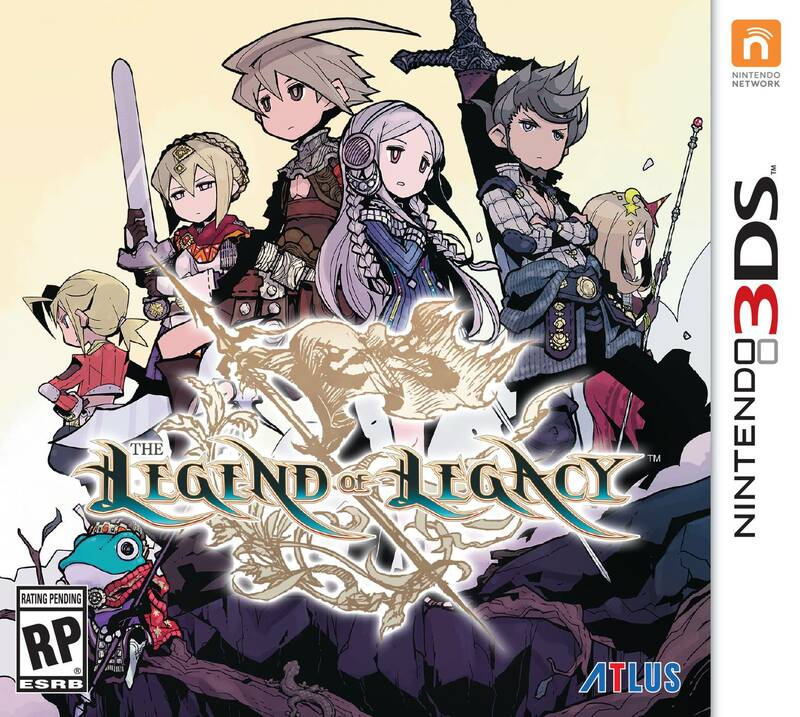 The question is: am I going to put any time at all into my Japanese copy of The Legend of Legacy before the North American version of this 3DS RPG hits the streets in a few months? The most likely answer to the question posed in this post's headline is "probably not," I sadly have to admit, although I'm going to do my best to turn that ho-hum response into something that's far more appealing--you know, like, "yeah, but only a couple of hours." Seriously, though, I've wanted to dig into my Japanese copy of The Legend of Legacy ever since it arrived on my doorstep in early March. Unfortunately, all sorts of annoying things--like work, work and more work--have kept me from doing so. Actually, that's not completely true. My day job and my on-the-side freelance gigs aren't solely responsible for my failure to pop this cart into my Japanese 3DS LL even once over the last three months. At least a bit of blame can be heaped on the technical writing certificate program I just wrapped up (imagine me doing a little happy dance right now), my slow-as-a-snail Japanese studies and my insistence on having some sort of life outside of work, class and blogging about games. At any rate, one of my many gaming goals at the moment is to spend at least a little time with this SaGa-esque, FuRyu-developed 3DS RPG before it makes its way to North American store shelves (as well as this region's eShop) later this year. No, your eyes aren't deceiving you--an English version of The Legend of Legacy is being prepped as we speak. Specifically, it's being prepped by the folks at Atlus, who revealed today that both physical and digital versions of the game will be released in both North and South America sometime "this fall." Oh, and it'll sport a perfectly acceptable (to me, at least) $39.99 price tag. I like that you are a big fan of JRPGs. Luckily, the 3DS seems to have a number of them coming out this year. Oh, yes, Eric, I've loved them since I first set eyes on the original DQ and FF games :) How about you? Oh, I'm trying to widen my range of games. I want to try out Persona Q. Does that count? Well, it's not really a JRPG, but it's a Japanese dungeon-crawler, and that's a good genre, too! I like the way you think, Franggio! How are you doing, by the way? That said, I'm glad to hear things are somewhat getting back to normal for you--whatever "back to normal' means, anyway. Hopefully things will improve even more in that regard from here on out. I'll admit, I'm pretty chuffed! I've been hoping this one would make it over - I've been a big fan of the SaGa games since the gameboy days. I am too! Though I need to grab some sort of Vita equivalent. Best buy has the PS TV for really cheap right now, so that may be the ticket. If I do pick it up and it's not, It does look like I'll have plenty of dungeon crawlers to find solace in, at least. Probably, the requirement seems to be "Does not make extensive/essential use of touchscreen,"
You know i'm excited about the Legend of Legacy English language release! I don't think i'll ever get around to playing my jp copy. I have way too much to play and it requires a much higher level of Japanese than what i know. Oh, I can understand that last part, Finchiekins. That said, I'm kind of surprised you don't even want to give it a try!